Google revealed today that "hundreds" of Gmail accounts were compromised in a nasty spear phishing attack that targeted high-profile U.S. military and government officials, among others. The news came on a day when Northrop Grumman joined Lockheed Martin and L-3 Communications on the list of defense contractors who appear to have been hacked in an event unrelated to the Gmail invasion. Meanwhile, MacRumors reported that a new variant of the Mac Defender Trojan hit the streets within 8 hours of Apple's security update. And so the game continues. 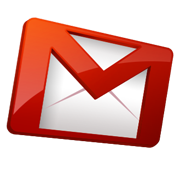 The Official Google Blog says, "This campaign, which appears to originate from Jinan, China, affected what seem to be the personal Gmail accounts of hundreds of users including, among others, senior U.S. government officials, Chinese political activists, officials in several Asian countries (predominantly South Korea), military personnel, and journalists." This isn't Google's first problem in China, and Google's internal systems weren't affected, the company said. But it advised Gmail users to check their forwarding and access settings, be on alert for "suspicious activity" warnings in Gmail, and strengthen their security practices through two-step verification and strong passwords. Along with "the strength of our cloud-based security and abuse detection systems," the post's author, Eric Grosse of the Google Security Team, credited user reports and Mila Parkour's Contagio Malware Dump blog for uncovering the cyberattack. Back in February, Parkour provided all the details of the breach, including what a spoofed mail looks like and what to do about it. Her examples showed invaded Gmail accounts of people involved in military, political, and diplomatic activities. How does military and diplomatic mail end up in a Gmail account instead of a .gov or .mil address? "Some people have a habit of forwarding messages from enterprise accounts to their personal mail for saving or easy reading at home," Parkour notes. The cybersleuth took advantage of weaker security protections and home's "relaxed atmosphere, which helps to catch the victim off guard." Parkour described the phony mails as "customized and individualized for each target," sent from the spoofed address of an individual or agency known to the targeted user. A "view download" link instead led to a fake Gmail login page, Parkour said. Once the invaders harvested each user's credentials, they were able to redirect mail to another account, read incoming and outgoing mail, and gather info. Details like a spouse's name or references to meetings were used to craft additional messages that were "plausible enough to generate responses or conversations from victims." Meanwhile, the cheerful folks at Fox News point out that defense contractors have access to top-secret computer systems that do things like launch unarmed Predator drones. If military IT organizations can't keep thieves and bad guys out, what hope is there for the rest of us?